Sometimes when I haven’t gotten to talk to a friend for a while and we have lots of things to catch up on, I start a list before we get together of topics I don’t want to forget to discuss. I don’t know if you are like me when you start talking with people you love, and one conversation leads to another, and you realize that you have 2 or 3 (or 8) conversations going at once. Making a list prior to getting together is sometimes helpful for me. My brain is too full to have a mental list so I usually have to have a written down list. These lists usually include things about which I need to hear an update, or things I want to share with a friend (something I learned, or tasted or cooked that I want to pass along), or sometimes it’s advice I need about something. Most of the time it includes sharing, collaborating and passing along. I’ve been thinking about this blogging hobby and there are times that it seems pointless in the midst of the 3,000 other food blogs out there and the little amount of “hobby time” that I have. But one of the main reasons I do this is to share the things from life (and kitchen) and the tips and pitfalls I’m discovering along the way. This feels fun and purposeful. 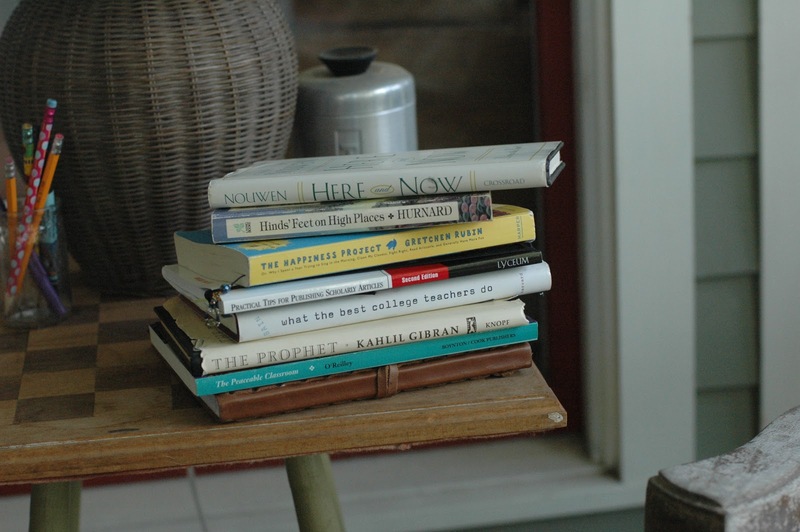 This week as I was thinking about what I wanted to write on the Blog, I kept adding to a list of what has inspired me, or things I enjoyed and wanted to pass along. So, here are a few of the things that are on my mind this week, as I am preparing for the end of the school year and beginning of summer. (They range from a book I’m loving, to a beauty product I’ve found, to a summer parenting tool, to yummy treats). 1. I love that during summer I have more time to read! 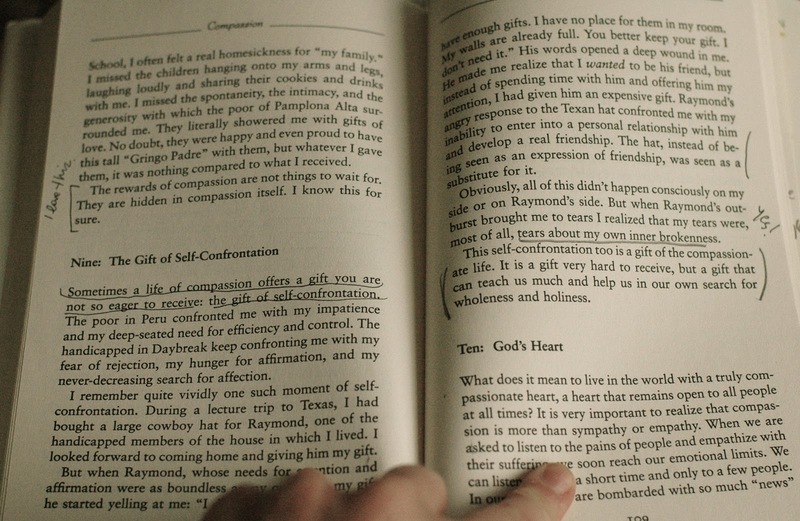 I have been reading a book that has been so centering that I wanted to share with you. 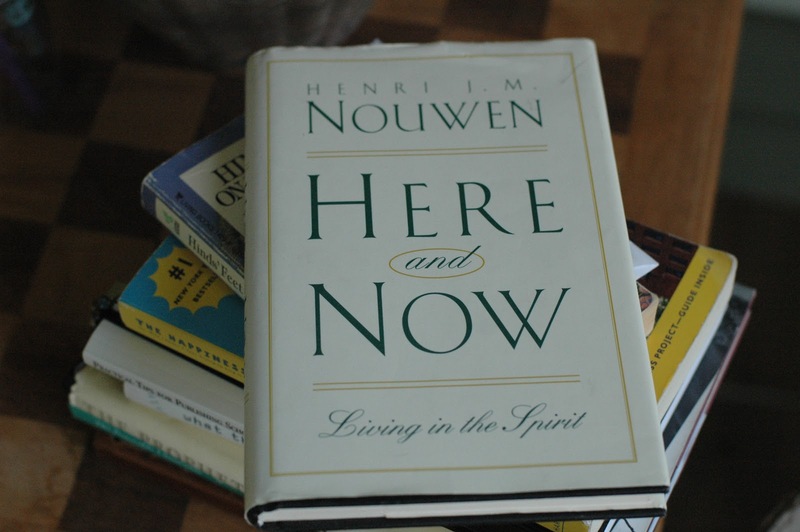 It is called Here and Now: Living in the Spirit, by Henri Nouwen. I have quoted him on this blog before. He was an incredible writer, thinker and man of God. I am continually blessed by his writing. I find that no matter what I read of his, it is fresh, relatable, honest, deep, simple and yet profound. I am sad that I am near the end of this book. Thankfully, he wrote about 40 books! One quote from the book about Living in the Present is, “God is always in the moment, be that moment hard or easy, joyful or painful.” I need that reminder. 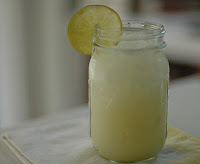 Limonada this week for a Fish Taco Fiesta we had. Zippy and refreshing! Summer in a glass! I posted about it a couple of years ago, but wanted to mention it again. 3. 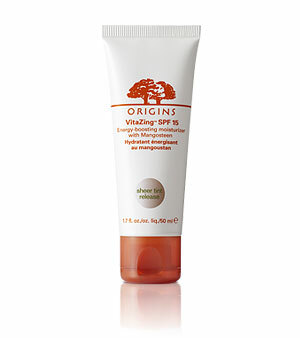 Summer refreshment makes me think about a great skin product that I have recently discovered: Origins VitaZing Cream. Do you know about it? It’s pretty amazing! It is 15 SPF sunscreen, moisturizer AND it is tinted-by-chemical reaction to your skin. So, it works with your skin. I don’t get it, but it is pretty great. (The employee told me it was what other product companies are calling BB Cream – I trust Origins more, and they have a money back guarantee that drug store brands don’t). It was recommended to my friend Amy, when we went to Origins in January, and then for Mother’s Day, Dave bought me an Origins gift card with a couple of samples, one of the VitaZing. I am sold! It’s a great product for this time of year! 4. 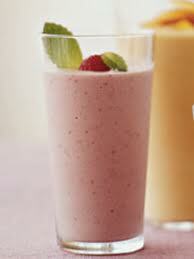 My friend Sharon has been posting on Instagram this month “Milkshake Mondays” at her house. Every week they make a different flavor. How fun is that?? Last week was Lemon Meringue, the week before was Chocolate Peanut Butter, I think. I love it. This is a tradition my household would really appreciate. 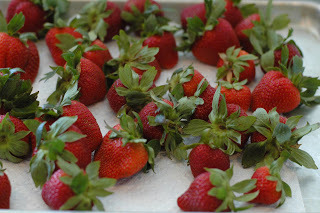 Sharon told me today that this week might be Strawberry because she went Strawberry Picking and has some berries on hand. In our part of the country it’s Strawberry Picking Time! I really hope I get to go this week. I was supposed to go with a couple of friends last week, but one of the friend’s sons got sick and we had to cancel. If you haven’t been picking, I encourage you to do it. I talk about it HERE. My sister got some and made some fun recipes this week with her berries: muffins and pop tarts! 5. 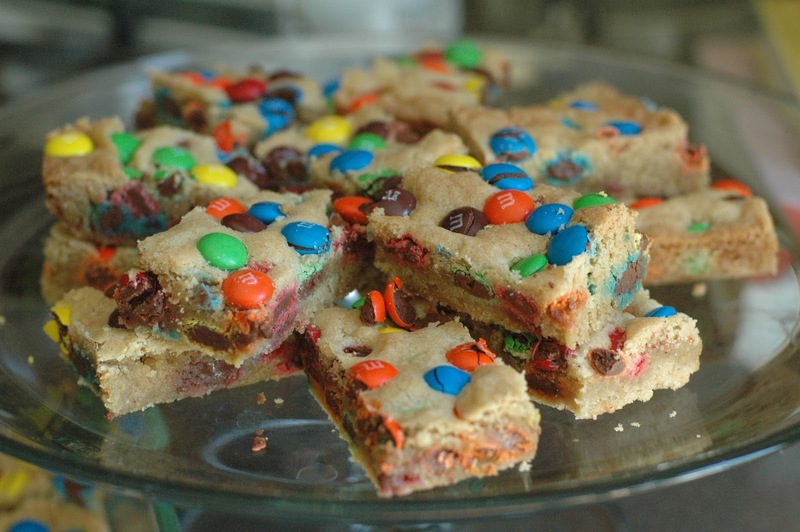 Speaking of friends with great ideas, my friend Laura brought these delicious M & M Cookie Bars to a college lunch we had and they were the winning dessert- hands down! I asked for the recipe and she sent it to me. It is simple and super delicious! I made them for the end of the year party for my 5 year old’s Preschool class – they look like a celebration and are easy to transport. I then made them again when a friend came for dinner for my family to enjoy. They were the “Goody on the Cake Stand” or Featured Dessert at our house this week. 5. (part 2) By the way, this “Goody on the Cake Stand” is referencing the domed cake stand on the end of my counter that contains whatever the baked good of the day/week is. It keeps the goody covered, and yet visible to those in the house. My mother started doing this years ago and I adopted it. There are some people (including my father in law who claims to not be a “dessert person”) who after coming into the house and exchanging greetings, make their way over to see what’s under the dome. 6. And one last thing. As summer is on our heels, I needed to get a system in place to help manage the pending chaos, positively motivate the troops to do their tasks (chores sounds so dreadful, I like to call them tasks), and do some brainwork this summer. Lainey has had a system in her class at school this year that has been very effective that we are adopting. It’s a reward cards system and they get a “punch” with each action that is deemed worthy. When the card of 20 spots is filled, they can choose a reward. We are calling it Summer Rewards. I made a list of Punch-Earning Items and Rewards. We will continue to add to the lists, I’m sure. I unveiled it to them this weekend and so far they are pretty excited and motivated. I love that they added “pillow fight” to the list of rewards! Oh and another thing I forgot…meal planning strategies! I’ll have to wait on that one- too much to say! Maybe next week, I’ll write about my plan for getting dinner on the table every night. I’m thankful for the summer days ahead and the change of pace from the breakneck speed, homework, choir, basketball, lunch packing to; more time to be with my kids, read books, cook tasty food, take lots of walks and hopefully, relax. Julie, please don't give up on your blogging hobby. I have shared your blog with all of the women in my family, and we all love it! Your recipes have fed my little family of 3, extended relatives, neighbors, church affiliated groups, and colleagues. The food is delicious and the commentary is inspiring! Julie, I love seeing your smattering of ideas. I am going to have get the Origins cream…and of course read the Nouwen book. 🙂 You are a BLESSING. Yay for summer and rest! Julie, I love this post! I don't think I could survive without my lists! 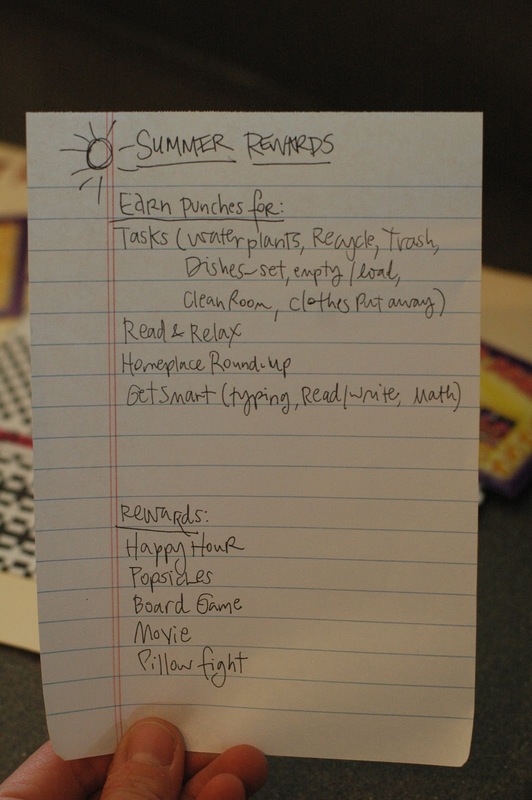 I have been pondering the whole chore/responsibility chart/reward system for this summer…..I just may try the punch card idea. Thank you for sharing! I also look forward to making the Brazilian limonade. By the way I hope some of those walks will be with me! Kristin, I am so glad to hear that. I need the feedback to keep me going… putting this out into cyberspace, hoping it's worth it! Keep blessing people with your heartfelt cooking! Thanks for the comment. Kendra, YES, let's get on a walking plan! And, I would love to talk to you more about the rewards system if you want sometime. I think it might actually work- it's easy to maintain (which to me is key). I found red, white and blue M & Ms so I'm making the bars for a Memorial Day BBQ. 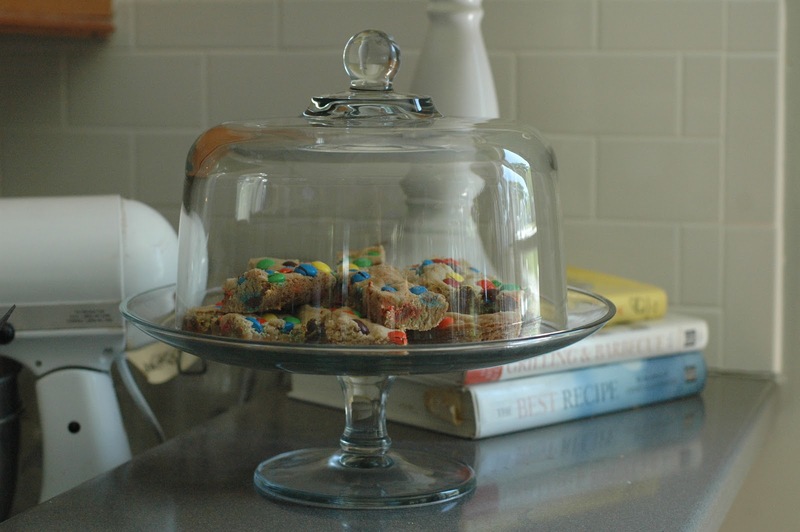 Thanks for the recipe….it was the first recipe I thought of when I found the M & Ms. 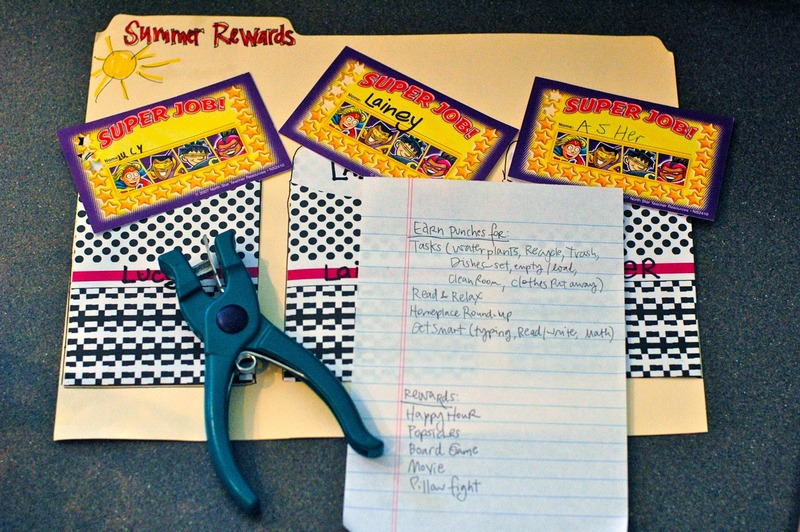 I also want to try your summer reward system. Love all your ideas — this was a fun post to read.